Virtual reality is an entirely new way to experience content - unlike TV and cinema, VR can be a completely immersive experience allowing consumers to feel as if they are in the center of the action. Ultimately, it triggers our brains, emotions, and senses in a whole new way. This panel will be a deep-dive into how VR content affects our brains: how seemingly-simple changes in viewing can have a significant impact on the way we feel, and how we experience the world around us. 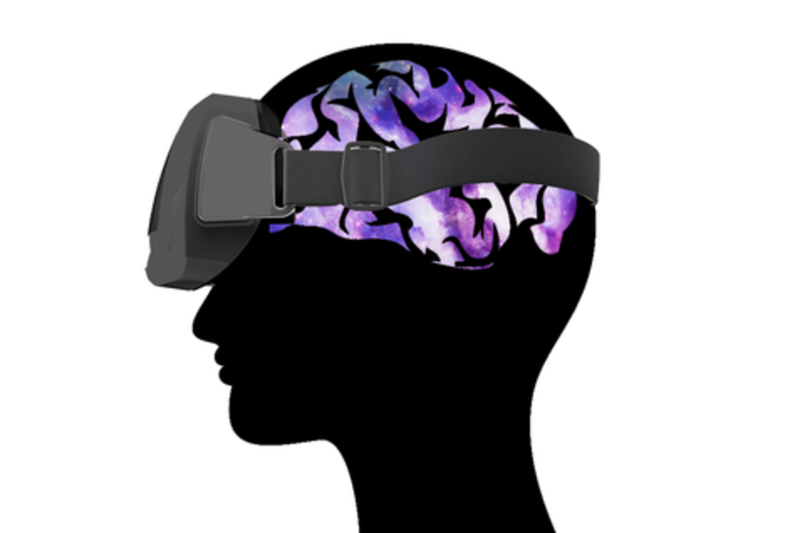 Historically VR is already being used to treat disorders and psychological difficulties. We’ll explore the steps that have been taken in the past and how the resurgence of VR will help push it even farther. Daniel Terdiman is a San Francisco-based technology journalist with nearly 20 years of experience. A veteran of CNET and VentureBeat, Daniel has also written for Wired, The New York Times, Time, and many other publications. Daniel covers cool and emerging technology such as virtual reality, drones, robotics, private space exploration, 3D printing and more. He also broke the Google Barge story in 2013, and for years produced the annual CNET Road Trip series, which he created. Daniel is a graduate of the Columbia Journalism School, and he's a big fan of Burning Man, cats, and hiking. This will be his 11th SXSW. You can reach him at dterdiman@fastcompany.com. Miles Perkins brings a wealth of experience to Jaunt in the fields of media communications, entertainment and emerging technologies. Before coming to Jaunt, Miles was a 23 year veteran of Lucasfilm’s Head of Corporate Communications where he was responsible for the development and implementation of communications and public relations across all Lucasfilm companies globally, including Industrial Light & Magic, Skywalker Sound and LucasArts. Prior to this role Perkins served as Director of Marketing and Communications for Industrial Light & Magic. He was central in developing and managing the ILM brand and possesses a deep knowledge of the creative and post-production process. At ILM he worked on a wide range of projects including the Star Wars prequels, the Jurassic Park series, the Pirates of the Caribbean series, Iron Man 1 & 2 and is credited on nine feature films including Super 8, Rango, Star Trek, Transformers 1 & 2, Indiana Jones and the Kingdom of the Crystal Skull and Iron Man. Walter Greenleaf, PhD is a behavioral neuroscientist and medical product developer. As a medical product developer, Walter’s focus has been on computer supported clinical products, with a specific focus on virtual reality and digital health technology to treat Post-traumatic Stress Disorder (PTSD), Anxiety Disorders, Traumatic Brain Injury and Stroke, Addictions, Autism, and other difficult problems in behavioral and physical medicine. He is Chief Science Officer at Pear Therapeutics and Cognitive Leap, and the Medical Director for AppliedVR. As a research scientist, Dr. Greenleaf’s focus has been on age-related changes in cognition, mood and behavior. He recently served as the Director for the Mind Division, Stanford Center on Longevity, where his focus was on advancing research on age-related changes in cognition. He is currently a Distinguished Visiting Scholar at Stanford University’s MediaX Program, and Stanford University’s Virtual Human Interaction Lab. Dr. Greenleaf is known internationally as an early pioneer in the medical application of virtual environment technology, and is viewed as one of the founders of the field. He has designed and developed several clinical product streams over the last twenty-seven years, all with an emphasis on digital medicine and the use of virtual / simulation technology. He has served as a scientific adviser and reviewer for the U.S. Public Health Service, National Science Foundation (NSF), National Institutes of Health (NIH), NASA and the U.S. Department of Education. He has served as a Principal Investigator for research grants funded by NIH and NASA. Dr. Greenleaf helped start the California State University Center for Disability Solutions and serves on the Board of Directors for the International Society of Virtual Rehabilitation.